Mumbai Metblogs » Whats this? 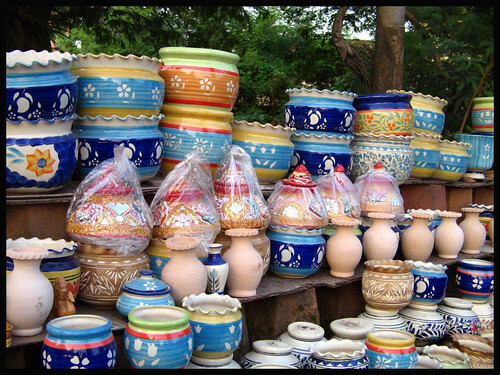 I happen to notice all the nursery near my home seelling these decorative pots (the ones covered with plastic bags) , because its Navaratri. Can any one tell me what is this used for ? and its significance. Think it is called a ‘kalash.’It’s used for pooja I believe.